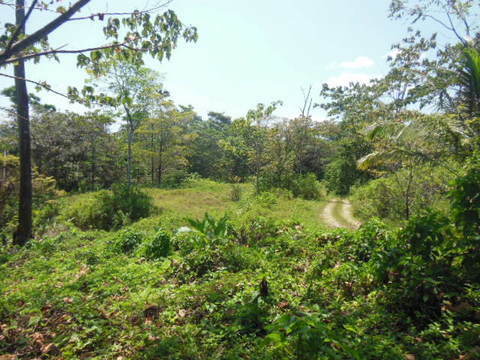 HILLTOP LOT ON ISLA SOLARTE CLOSE TO BOCAS TOWN. Hilltop lot/dock close to town on Isla Solarte. Only a 10 minute boat ride to Bocas Town, 5 minutes to Old Bank Town on Bastimentos and 10 minutes to Red Frog Beach. This lot has a great view of the water and of Isla Bastimentos. There are tropical birds in the back and fish at the coral reef in the front. As other current neighbors have done, build your hilltop island house facing northerly breezes. This lot is priced to sell to a buyer that wants to be away but also close to a tropical town social life. This is clean ROP land and the title work is ready to be submitted if you want to title the property. Come check out the view and then bring offers.